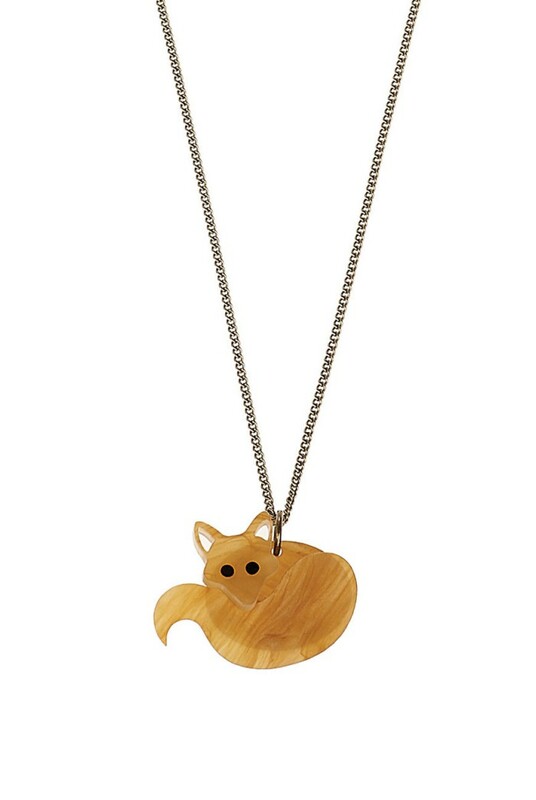 Bringing the animal kingdom to life, Tatty Devine has introduced this wonderfully warm, honey toned fox necklace for those hunting for individual style. We are totally smitten with this forest friend, his bushy tail and cheeky face not only because he is super cute but he is also reminiscent of the famous Lea Stein designs that were so coveted in the 1960s. Take this vintage necklace and team against bright white or solid blacks to really make the tortoise shell pelt shine! 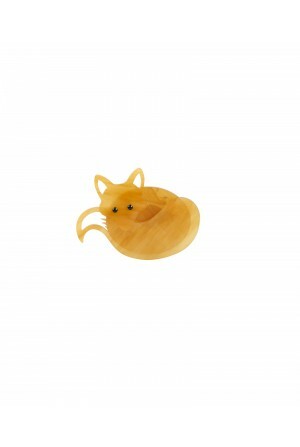 This is a perspex animal necklace forming a fox shape measuring 3.5 x 3cm in brown and comprising three sections pinned into place through the eyes. The necklace is hung on a adjustable 60cm length silver chain with Tatty Devine signature plectrum.